Background investigations can give you peace of mind before starting a professional or personal relationship. Background Investigations allow you to find the truth about someone. We can provide detailed and accurate information about a subject by conducting a thorough background investigation. There are no “routine” background investigations, each investigation is tailored towards your needs to uncover the facts you desire. Employee investigations: Not running employment background investigations can make you liable if an employee with a criminal record uses your business to commit crimes. Caregiver investigations: According to some statistics, up to 14% of child abuse is attributed to caregivers such as nannies and babysitters. Caregivers cause a very high percentage of abuse of the elderly. Nanny background investigations can help you prevent tragedy. Driving record investigations: Allowing a babysitter to drive around your kids? Hiring a driver for your company? Make sure they have a clean driving history before trusting them behind the wheel. Criminal background investigations: Knowing whether someone you trust has a criminal background can protect you from crime and fraud. Personal background investigations: Personal background investigations can also bring you peace of mind about a neighbor or a friends’ behavior. Tenant investigations: If you will be subletting, renting, or otherwise allowing someone to stay on your property, tenant investigations can let you know how reliable and honest your would-be tenant really is. Pre-employment investigations: A background investigation can let you know whom you are really hiring and can help alleviate potential legal or other problems. If you have a need for a background investigation understand that each background investigation we provide is tailored to your needs. If you have more questions or would like to speak to us about how we can help you, call us today at 847-526-7727. Have you contacted an investigator about this case before? We understand that hiring a private investigator may be the hardest decision you may ever make…and should not be taken lightly. R7 understands that domestic investigations can be emotionally distressing and we guarantee a discreet and confidential investigation. We conduct surveillance of spousal or teen activity, conduct background investigations of domestic employees and investigate cases of suspected elder abuse. In elder abuse investigations, we consult with medical doctors who assist in analyzing all data recovered. In all of our investigations, we use the latest investigative technology and provide a comprehensive report that allows you to make informed decisions. Call 847-526-7727 or Contact us. Expectations: Another thing that we recommend is that you keep your expectations in the real world and not in Hollywood. For every case that a private investigator gets a videotape of two people being intimate at a motel or in a car, we have another where we can only follow a spouse to someplace like a large apartment building where they disappear out of sight in some common hallway. 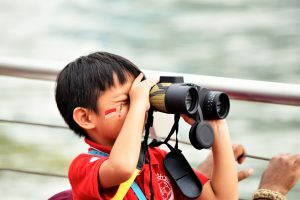 For some, this may be enough, but for others who need more information, we may need to conduct additional surveillance and investigative procedures to get more information about where he/she is going or whom they are with. Although this can be frustrating, it is sometimes unavoidable. Other times, your spouse may simply do whatever they said they were going to do: go to the mall, meet a friend for dinner, visit a relative. Our professional field investigators capture a subject’s activities discreetly and accurately. Unlike many others, we don’t limit our surveillance to what can be seen from the window of a car. All of our operatives are equipped with state-of-the-art long-range and hidden video cameras, giving us the ability to observe activity in public places, in rural areas, and at the mall. The only thing we cannot do is control what your partner will do or where they will go! 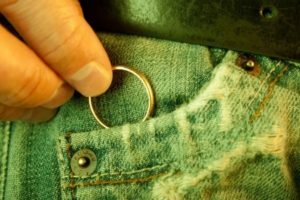 Being Discreet: Although you may not think that your cheating spouse would ever suspect that someone would be watching them, the majority of cheaters are well aware of the potential for someone, likely you, to be watching them. Cheating feels risky and exciting and watching over your shoulder is part of what all cheaters seem to do. Other times, the cheater is involved with someone else who is cheating making matters worse. There are also people, possibly like your spouse, who are just aggressive drivers, looking out for the police, extremely aware of their surroundings and all sorts of other habits which make pursuit more difficult. To deal with this, the private investigator may use multiple vehicles and investigators to get the job done right. This costs more, but two people can do a better job than one at following someone in traffic, in public places and anywhere else. Please understand that using multiple investigators on surveillance is the norm. R7 adheres to all Federal Privacy Laws. Timing: Although your spouse or significant other may spontaneously leave the house, likely meet the other person, all private investigators have multiple clients and lives outside of work. Sometimes our investigators will have another matter scheduled at that moment and we may not be able to initiate surveillance at extremely short notice. You have our promise that if it is possible, we will be there for you, but also try and understand if we cannot be available 24 hours a day. Evidence: Today, almost all investigators utilize video cameras to capture evidence. The days where an investigator’s word was all you needed are gone. Videotape is more effective and does not lie. Make sure the investigator you work with has the proper equipment to capture evidence both from a car and inside a hotel, restaurant, bar or other public domain. Hidden, body-worn cameras are standard equipment for all of our investigators. If you are going to be involved in a divorce, understand that your investigator may need to testify about the video and the surveillance. Expect that he or she will charge you for their time in court. This is normal for experts. If you feel that your husband, wife, boyfriend or girlfriend is cheating on you, be sure to tell us everything. As your private detective, we are only able to get you the proof and evidence you need if you tell us the whole story. Anything less can have a dramatic effect on our ability to get you the information you seek. Although R7 is among the best private investigators in the industry specializing in infidelity and cheating cases, we are not magicians! We cannot make things exist that don’t. We cannot find infidelity where it does not exist and sometimes, despite signs to the contrary, there is no infidelity or it is too infrequent or too well hidden to be found. Accordingly, we do not guarantee any outcome in any case. Statistics tell us that 50% of men who think their partner is cheating are correct and 85% of women who notice signs of infidelity are right. Infidelity is steadily increasing. If you suspect infidelity with your partner call R7 at 847-526-7727. All calls are confidential. The most common situation in which infidelity takes place is if an opportunity presents itself — business trips with colleagues, carpools, meetings at a gym. The innocent spouse receives special gifts or flowers for no reason. The cheating partner suspects his/her partner and acts accusatory, due to his/her own guilt. R7 understands that infidelity investigations can be emotionally distressing and we guarantee a discreet and confidential investigation. In all of our investigations, we use the latest investigative technology and provide a comprehensive report that allows you to make informed decisions. All investigations conducted by R7 are legal and confidential and comply with Federal and State Privacy Laws, including the Gramm-Leach-Bliley Act and the Fair Credit Reporting Act (FCRA). R7 can assist the Police Department or attorney with your criminal investigation and protect your interests. We will ensure that all investigative measures are initiated and all investigative avenues are explored. If you are the subject of a police investigation, we can provide you with information to assist in your defense. Clients have expressed concern that once a police agency had reached a decision not to proceed with an investigation, that was that. Although we certainly strive to maintain a strong working relationship with law enforcement agencies, there are many instances in which manpower is a police agency issue. However, there are alternatives available. Upon the client’s request, all police reports will be reviewed and if necessary, through personal interviews will be conducted with witnesses and victims in any criminal case. Any discrepancies in handwritten statements taken from victims or witnesses not noted in police reports would be documented and turned over to the original investigating agency. This would also be the case in the discovery of newly identified witnesses. Any items of evidentiary value located during the scope of our investigation would be photographed and the investigating agency would be notified immediately. At the conclusion of the investigation, the client will be provided with detailed written reports to be utilized for criminal proceedings. As with any of our investigative services offered, the client’s confidentiality is always assured. As with any investigative service that we offer, we are always available to testify in a court of law as to the results of the investigation conducted. R7 has conducted civil investigations for businesses, villages, attorneys and private individuals. Our goal is and always will be to bring an investigation to a successful conclusion, no matter what the scope of the investigation may be. We offer a wide variety of civil investigations and have the ability to customize an investigation to suit your needs. Below are some of, but not limited to, the civil investigations that we offer. Whether you need the credentials of a prospective business partner verified or bank information call us and we will produce results with efficiency and professionalism. People contact us for many different reasons. If you have a personal or business situation that you do not know who to go to for answers, call us. We may be able to help. A Surveillance Investigation is an investigation where a subject is monitored and usually recorded without their knowledge, to obtain information for a client. It can be very helpful in building a case such as a worker’s compensation or insurance fraud case. The investigator is hired to survey a subject that claims to be injured and is missing work. The investigator is able to go out and get video of the subject’s movements throughout the day. Sometimes the subject is caught on video working in the yard or working a 2nd job! A video investigation will assure the employer or the insurance company the validity of the claim. One of the most popular types of surveillance investigations involves cheating spouses. If you suspect your spouse is being unfaithful, a surveillance investigation is one of the best ways to find out if your suspicions are right. The investigation can include still photographs or video taken in order to catch the suspected cheater in the act. It’s impossible to “deny” a photo! A child custody case is also another type of investigation where a surveillance is necessary. If a parent is suspected of neglecting the child, drinking, or any other “bad behavior” while in custody of the child, then a private investigator should be hired to survey the parent. A video of their behavior and actions are essential in building a case to prove that parent “unfit” or that the child is in danger. A good Private Investigator will have the ability to capture a good video or pictures to help get the proof you need. Our investigators at R7 have hundreds and hundreds of hours of experience at surveillance alone. We have several types of covert cameras which enable our investigators to follow their subject into a bar, restaurant or other establishments and get videos of the subject while inside. Robert L. Kieffer, LPD (aka R7) adheres to all Federal Privacy Laws. When you need surveillance, R7 are surveillance specialists. We utilize cutting edge equipment and techniques to establish and complete the most difficult surveillance situations. They can all be used in conjunction with each other or may be used separately, depending on the investigation being conducted. However, there must be some type of surveillance documentation presented that would reflect what had occurred at a specific place, date and time. Below are a few of the investigations that we strongly recommend some form of surveillance documentation is utilized. Again, we are not limited to any of the services listed above. We are very flexible and can adapt to any situation that arises. We are more than willing to discuss and address any of your concerns. The attached is a recording from a dash camera of a Los Angeles police car in pursuit of hoodlums. The recording is only a minute or so in length. This is the most excellent justification of why the police should have such dash cams. Think of how vivid and accurately what happened can be communicated to a potential jury of the event. If YOU had experienced this chaotic event, without the dash cam recording, how well could YOU explain to a jury of your peers what happened? According to “Black Lives Matter” officials, the black guys were not actually shooting at the cops. Their hands were up! They were just a couple of innocent guys en-route to their college enrollments when the cops shot them IN THE BACK because they were black. Of course, that explanation from BLM was made before the dash cam video capturing the chase and the shooting was publicly released by the police. Unfortunately, before the truth came out, local news reports (without any confirmation of facts) indicated that this incident was just one more example of police targeting young blacks. What say you now BLM? 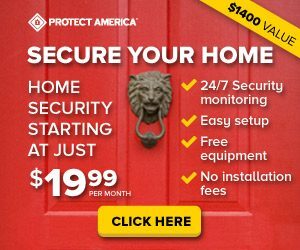 Here are some tips on how to protect your home and family. A workers’ compensation investigation helps to the validity of a workman’s compensation claim. Unfortunately, people exaggerate the extent of their injuries or fail to tell the truth when filing a claim. A workman’s compensation investigation can verify honest claims and highlight dishonest ones. Workman’s compensation fraud is the exaggeration and/or fabrication of injuries that allow the worker to claim and receive workers compensation insurance that they are not entitled to. Surveillance – Our investigators may use audio, video, and other types of surveillance to determine whether a worker is as injured as they claim. Interviews – We may interview colleagues, friends, and family to try to find out how extensive the worker’s injuries are. Background investigations – An investigation into a possible workman’s compensation fraud can include checking medical records and other records to determine whether a worker is truly injured. We may also run background checks to see whether a worker has filed numerous compensation claims in the past or has been convicted of workman’s compensation fraud in the past. Evidence acquisition – Our investigators can gather evidence if they uncover workman’s compensation insurance fraud. This can help employers, businesses and insurance companies prosecute fraud and cut off workers compensation claims that are not legitimate. Robert L. Kieffer, LPD is not only a licensed private detective but is also a licensed physician in the State of Illinois. He has over 40 years of experience in treating and examining patients with workman’s compensation and personal injury claims. With this type of experience, he has the edge on investigating workman’s compensation claims. If you are an insurance company, run your own business, or otherwise are responsible for employees or workers, a workman’s compensation investigation can help ensure that each of the workers filing a workman’s compensation claim is entitled to the compensation they receive. If you are unsure about the validity of a workman’s compensation claim, contact us today to learn more about how we can help.